It’s hard to put a price on a collectible automobile. 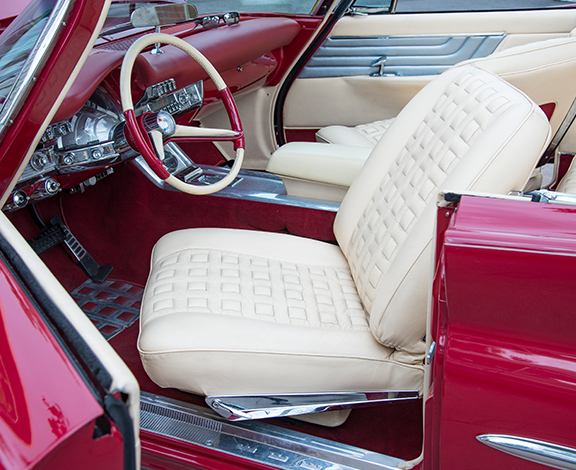 Countless hours of hard work, restoration, parts acquisition, and precise mechanical repair went into maintaining your collectible automobile; make sure it’s protected through Menath Insurance. Collectible automobile insurance rates are often lower than standard auto insurance rates because collectible automobiles are usually well-maintained and driven less than everyday cars. Agreed value limit, which means you and the insurance company agree on the value of your car. In the event of a covered total loss, you get the agreed value. Flexible usage and extended liability, this allows you to insure your collectible vehicle when you need to, including car shows and showcases. Coverage that allows the full restoration of your vehicle to your high standards due to damage caused by collision, accidents, or natural disasters (based on the terms of your policy). Let the collectible automobile experts at Menath Insurance work to protect your unique vehicle with our insurance coverage today. We’ll ensure that you are fully protected in the event of accidents or damage to your collectible automobile. Call or click for a free quote today.